“Cayo Hueso” – Spanish for “Bone Island” – was the original name for Key West because of all the skeletons found on the beaches during the days of pirates and sunken treasures. 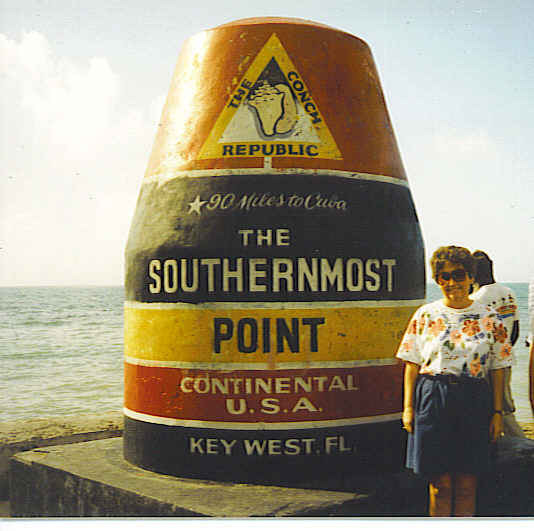 This is the southernmost city in the continental United States with Cuba just 90 miles away! With the Atlantic Ocean connecting with the Gulf of Mexico on its shores, the sunsets here are spectacular and always accompanied by a gentle breeze. Just getting here is an adventure as you travel across forty two bridges through the Keys on US Highway 1, the Overseas Highway. The route is only 113 miles from the southern mainland of Florida to Key West with the longest bridge being seven miles long. All the way you are surrounded by tropical beauty and aquamarine waters. You see the coves where pirates landed long ago, and where drug smugglers currently hide their stash. The highway here is actually built on the original route of the Overseas Railroad, which was constructed by Henry Flagler back in 1912. When the railroad and its bridges were destroyed in a hurricane in 1935, it was rebuilt and reopened as a highway in 1940. Ernest Hemingway, John James Audubon and Harry S Truman all were frequent visitors here. 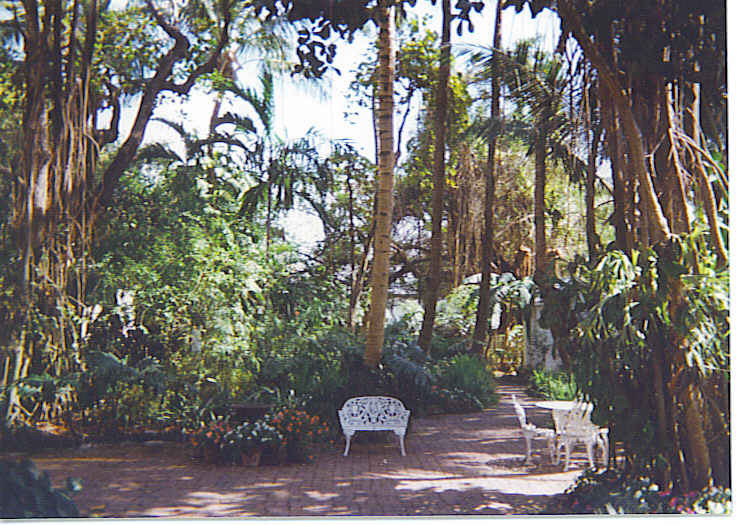 The Hemingway house is one of the favorite stops and has a relaxing garden, which is a photographer’s dream. Nobel Prize Winner Ernest Hemingway called the island home for ten years and found solace here along the turquoise waters. Be sure to look for the 40-50 six-toed cats that are descendants of Hemingway’s favorite tomcat, Snowball. Did seem fitting to take home one of his books, so selected his final work published during his lifetime, which not surprisingly had an ocean theme, Old Man and the Sea. Conch Tour Train gives a guided tour of the island and even makes a stop at Sloppy Joe’s, the most famous bar in Key West. Opened in 1933, the day after Prohibition was repealed, owner Joe Russell had previously operated an illegal speakeasy. Hemingway and his “Mob” of literary cohorts were regular customers, who philosophized and drank the days away. Today the bar is filled with historic memorabilia dating back to the days when Hemingway – known as Papa – stopped in for a drink with one of his best friends, Joe Russell – known as Sloppy Joe. Heritage House Museum, the historic Porter family home, gives visitors a taste of the pirate folklore and island life. Built in 1834, this is one of the oldest houses on the island where Jessie Porter established a creativity haven for many famous artists and writers. The Robert Frost winter cottage in the garden has a beautiful orchid collection. 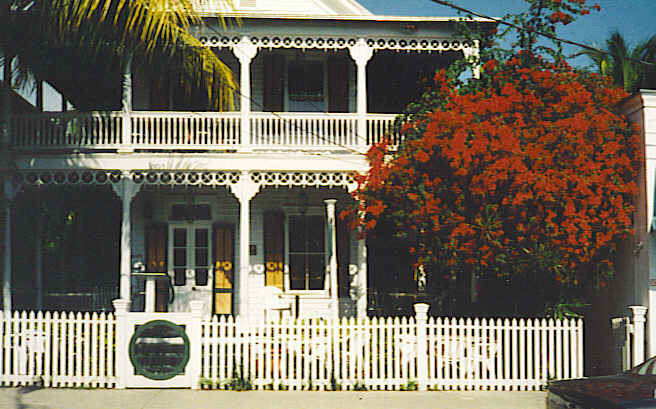 Each year the Robert Frost Poetry Festival is held at this site to promote Key West as a literary destination. 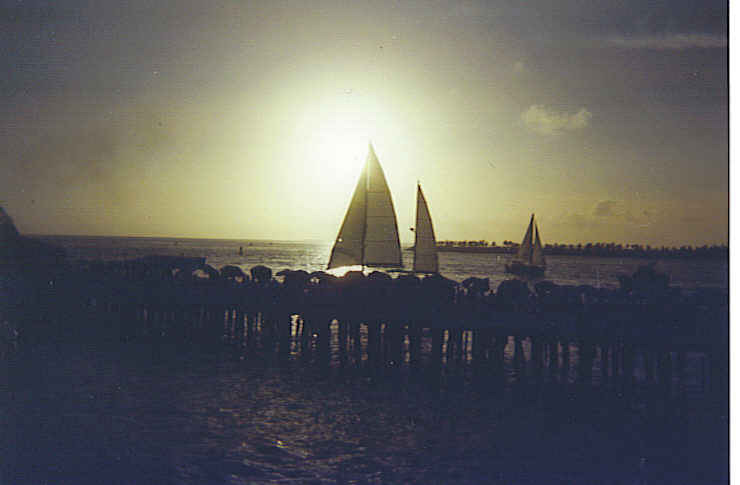 Sunset Pier on the Gulf Coast of Florida is the best seat in the house for the fantastic sunsets of Key West. Here at the Sunset Celebration you watch the sun sink into the Gulf of Mexico while the streets are filled with arts and crafts exhibits, entertainers, psychics, and of course, food! As poet Wallace Stevens once wrote: Key West is the real thing – the sweetest doing nothing contrived. Key West, Florida can be reached by crossing all the bridges through The Keys down US Highway 1 to its very end. It is the only highway going that direction so there is no possibility of getting lost. Enjoy the journey!